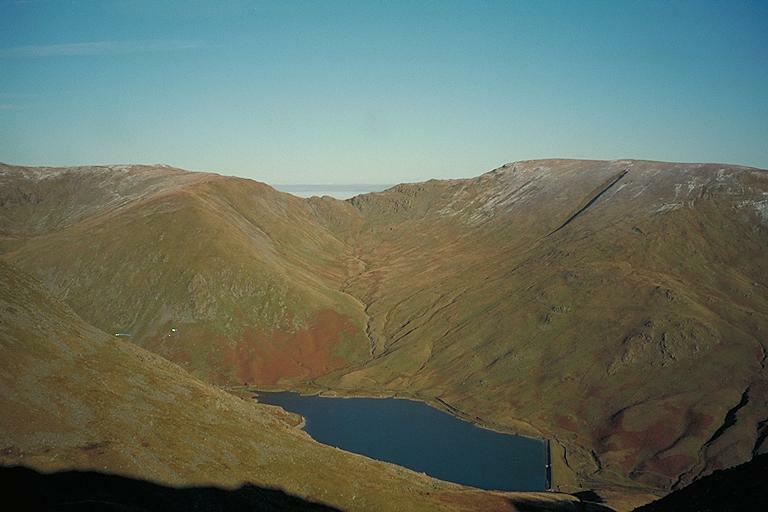 Nan Bield, the third highest pass after Esk Hause and Sticks, separates Mardale Ill Bell, left, from Harter Fell, right. Beyond the pass, cloud appears to fill Mardale. Lingmell End comes towards the viewer from Mardale Ill Bell. The reservoir has been allowed to fill since the recent completion of maintenance work. Smaller version of this picture.